A fresh twist on the signature Bottega Veneta eau de parfum, the new Eau Sensuelle expresses a young, joyous and sensual femininity. Its fresh and fruity notes evoke a warm and intimate atmosphere, blending velvety peach with white gardenia and jasmine. Hints of iconic leather meld with refined base notes of vanilla and patchouli to complete this sophisticated fragrance. The delicate pink hue is accentuated by the transparent tone on tone glass bottle with an Intrecciato. The Bottega Veneta Eau Sensuelle 30ml EDP Women's Perfume was added to the Women's Perfume category in January 2017. 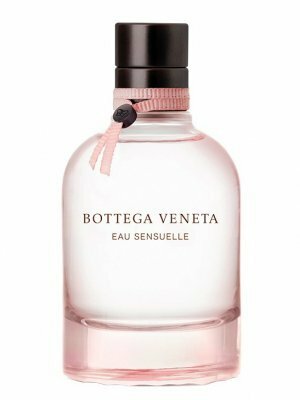 The lowest price GetPrice has found for the Bottega Veneta Eau Sensuelle 30ml EDP Women's Perfume in Australia is $118.95 from Cosmetics Now.